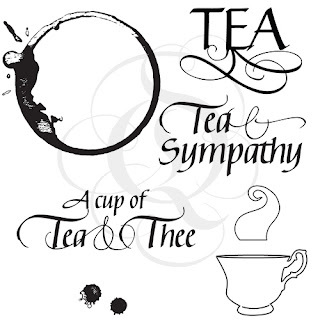 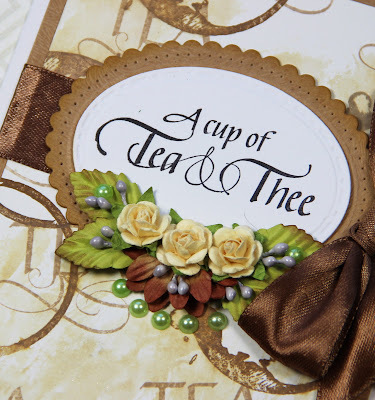 Yvonne here with a Tea-card using the Quietfire Design stampset "Tea" (a set of 7 stamps). I love the Tea-stain stamp from this set! 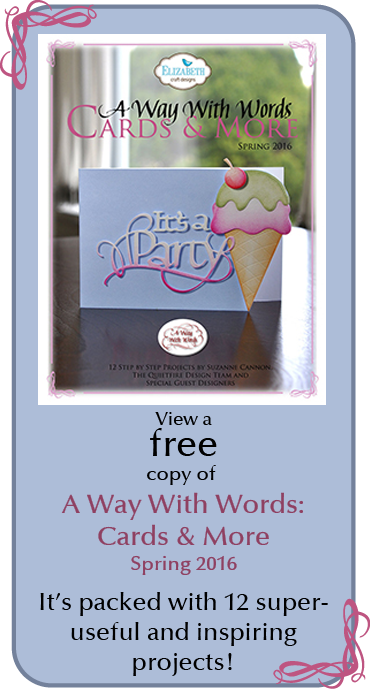 The background of the card is not design paper, but all stamped! 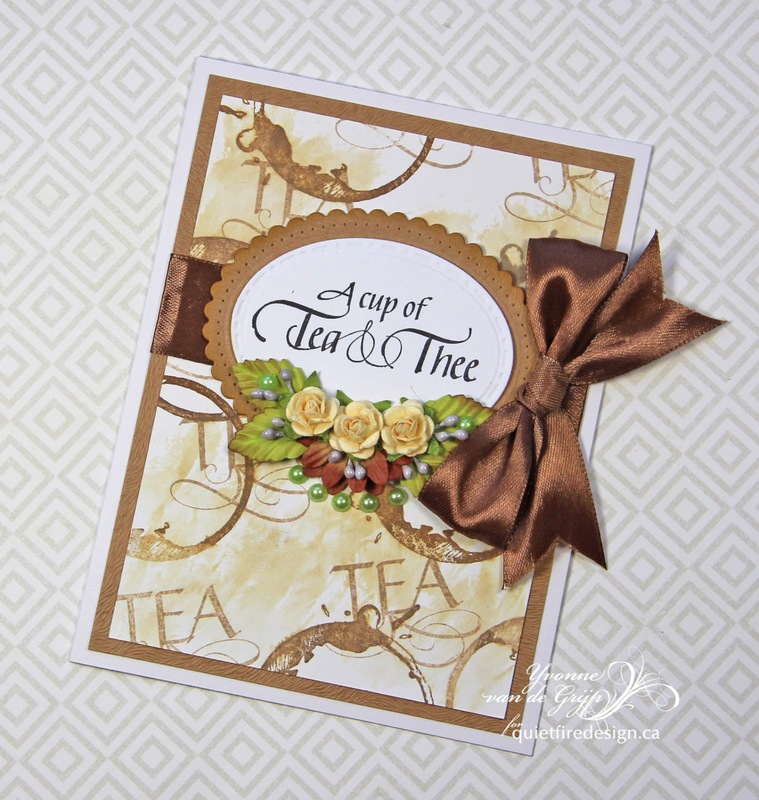 First I stamped the stains on white cardstock and then randomly stamped "Tea"all over. 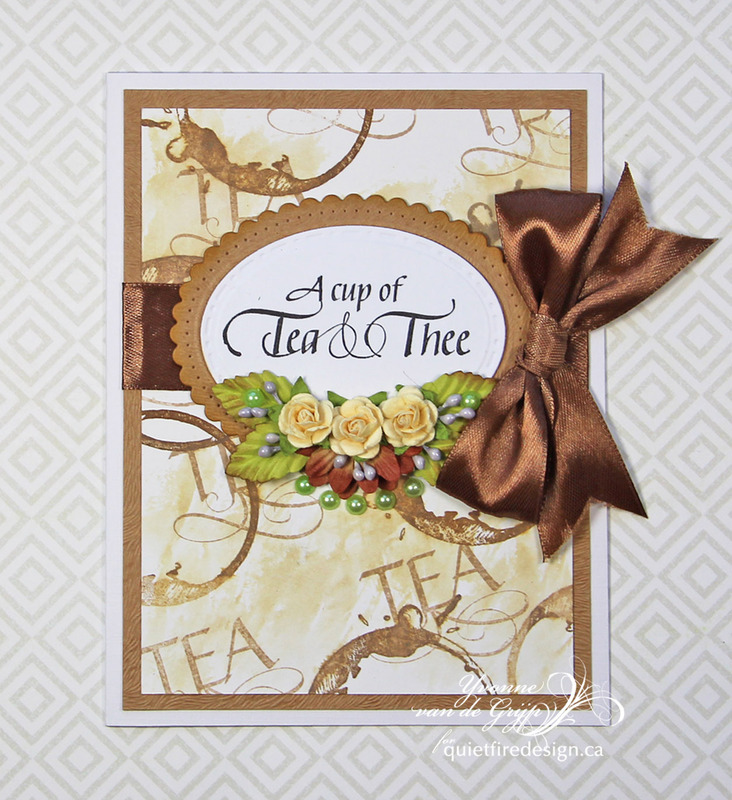 For some extra staining I used a baby wipe to dab over the cardstock while the ink was still wet...and voila...extra staining!